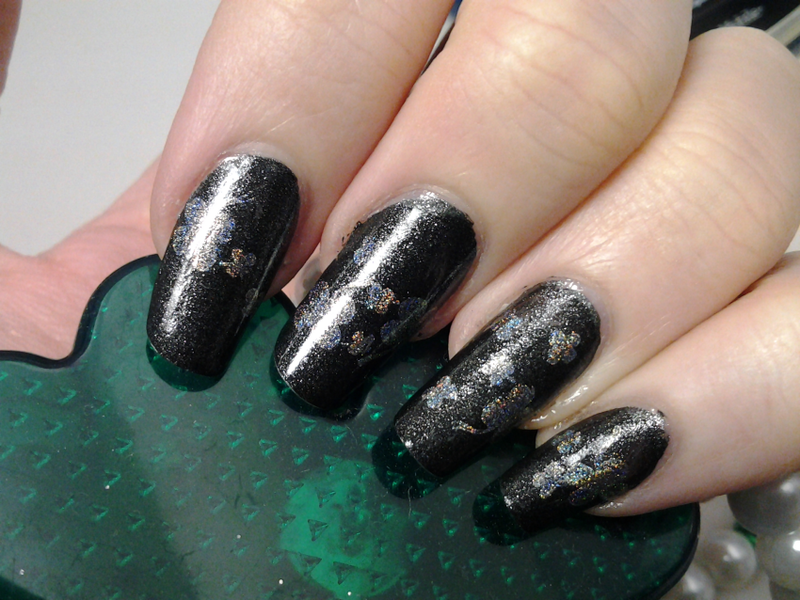 Glittericity: St. Patrick's Mani #2: Holo Shamrocks! 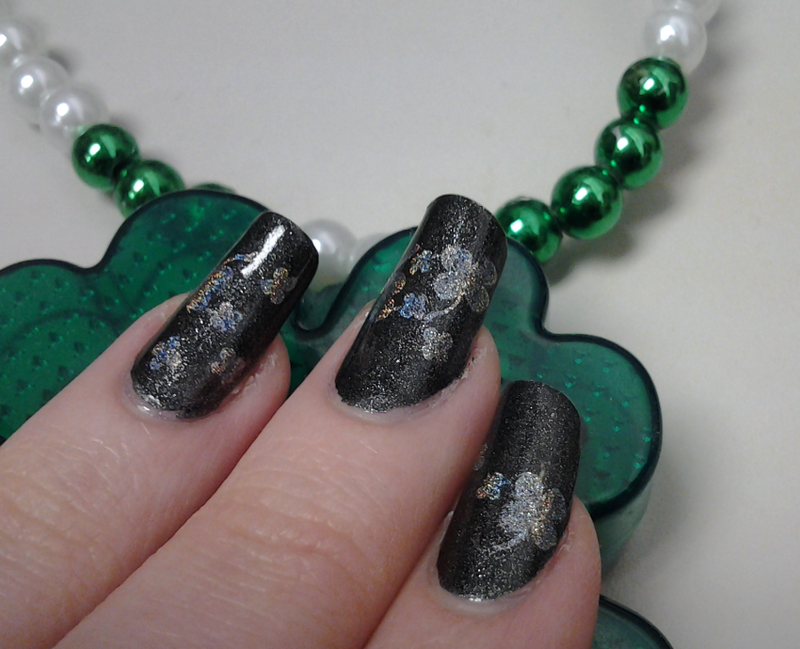 St. Patrick's Mani #2: Holo Shamrocks! 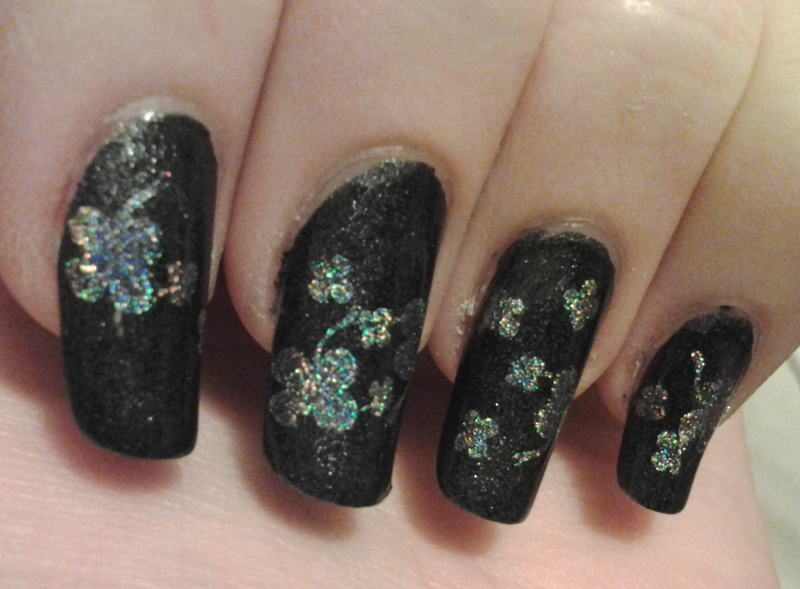 Actually, this was one of the hardest-to-capture-on-cam manis I've ever done. The shamrocks, in low light, were a lot crisper and easier to see in real life. I started with an easy coat of China Glaze Stone Cold, that awesome suede-finish stone-grey I've featured here before. That dried quickly, and then I stamped the shamrocks from Bundle Monster plate #BM03 with Color Club Kismet, a lovely light-green linear holographic. I am so impressed with these Halo Hues, you guys, omg. 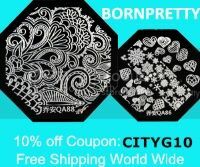 The formula is just unprecedented for holos! Matte with flash. 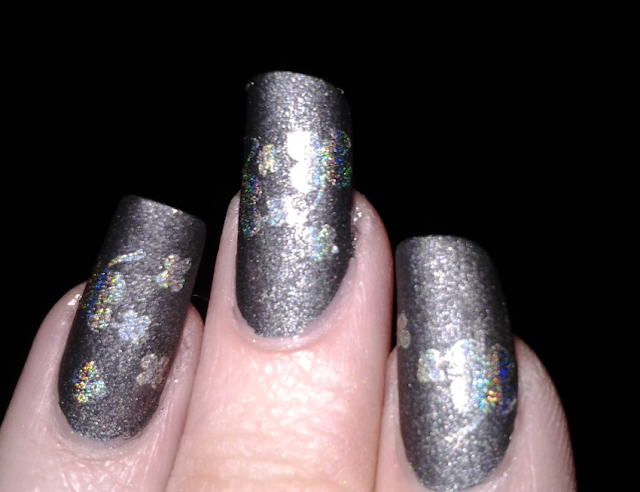 You can see a wee bit of the holo, but not much. So, I added a coat of Cult Nails Wicked Fast topcoat, and wooooo! Can't see the shamrocks quite as well, but, shiny! 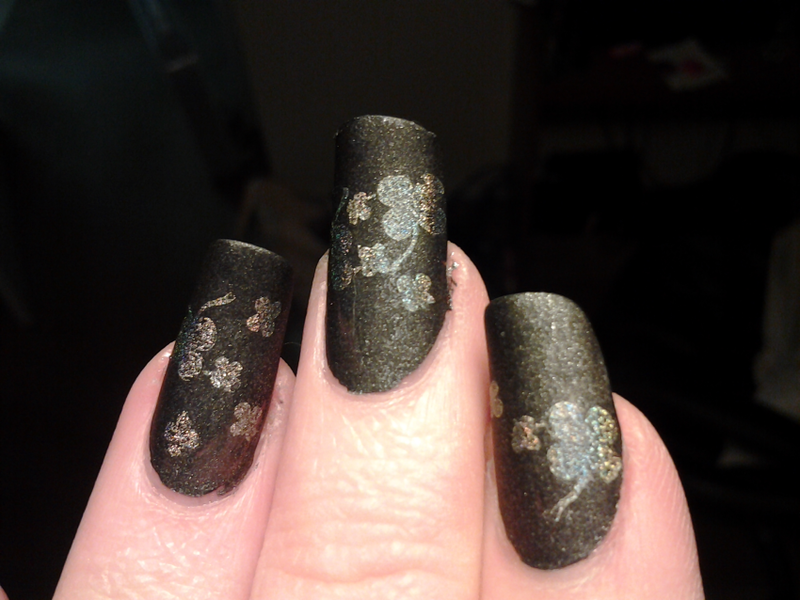 This was the first time I'd worn Stone Cold with topcoat, and I was super impressed. Indirect-but-still-bright light is where this mani photographs best. It's pretty impressive IRL in the sunlight, but the cam just couldn't show it! So this is the best pic I've got.